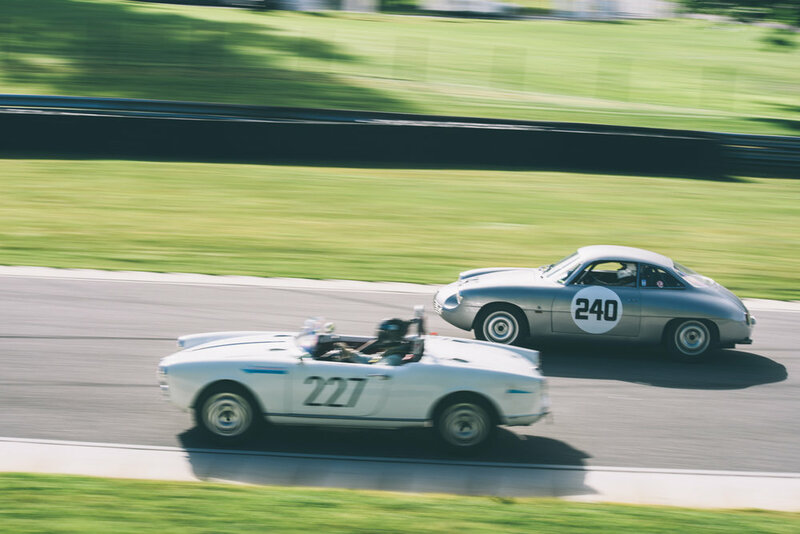 Every year, hundreds of classic race cars make a trek to Lime Rock Park to do what they do best: get raced. This year's roster was robust -- the cars ranged from 1950's Porsches to ear-splitting Formula 2 machines. I walked away with sunburn and abused eardrums, but more importantly, I had my memory cards filled with some neat images. In true classic racing fashion, a few of the cars decided to pack it up before their owners did. Frankly, I'd have been shocked to see a fully fault-free day -- problems are what help to build character. I'm finding ways to make the low burst rate on the Nikon D810 work -- mainly, it's just a lot of careful panning and timing. As ever, I got one keeper from about every 15-30 photos; the march to fill up every hard drive continues.